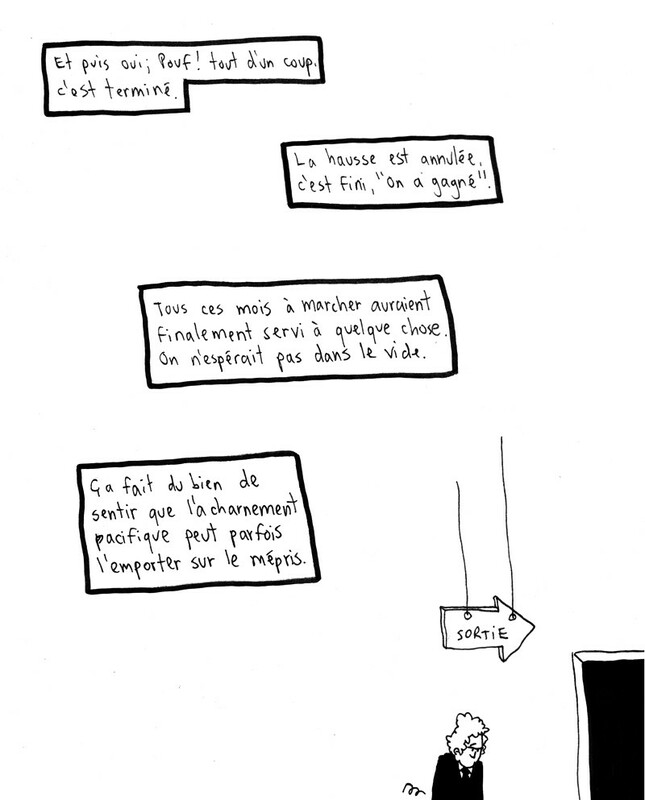 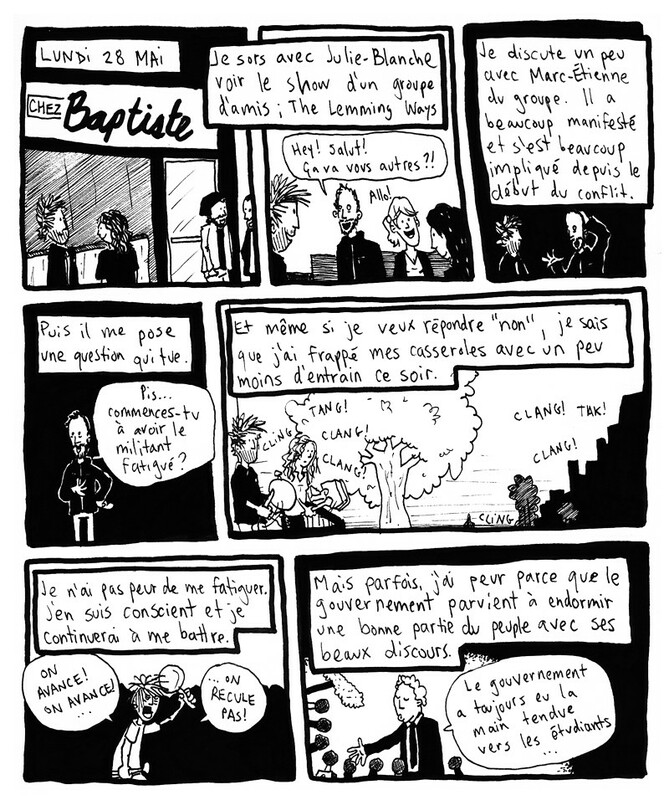 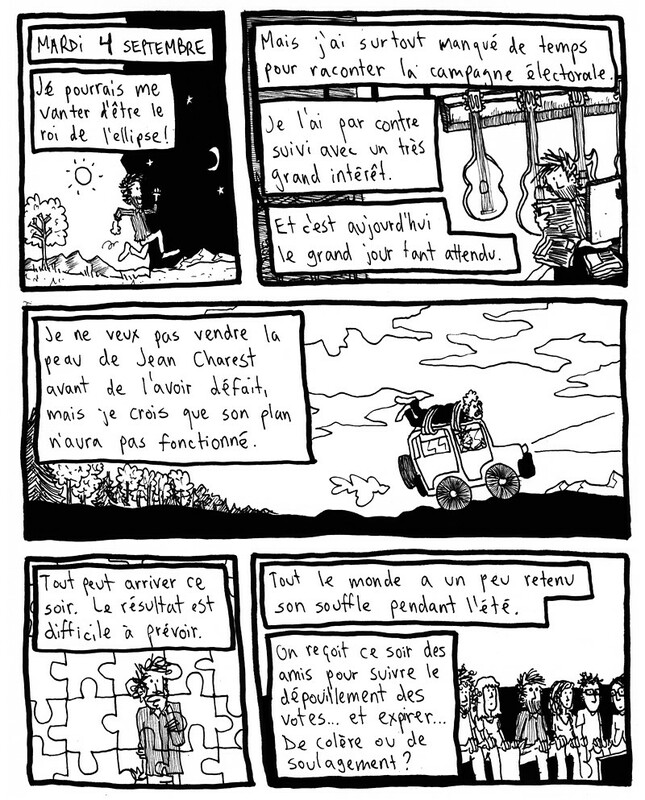 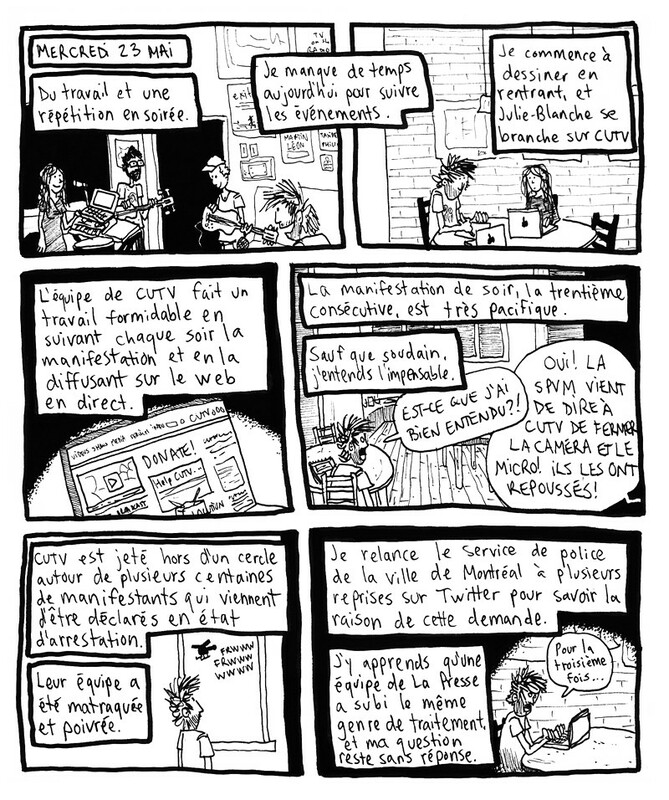 Twenty-four pages of the now 33-page webcomic by Antoine Corriveau was published in the Boite à Bulles book. 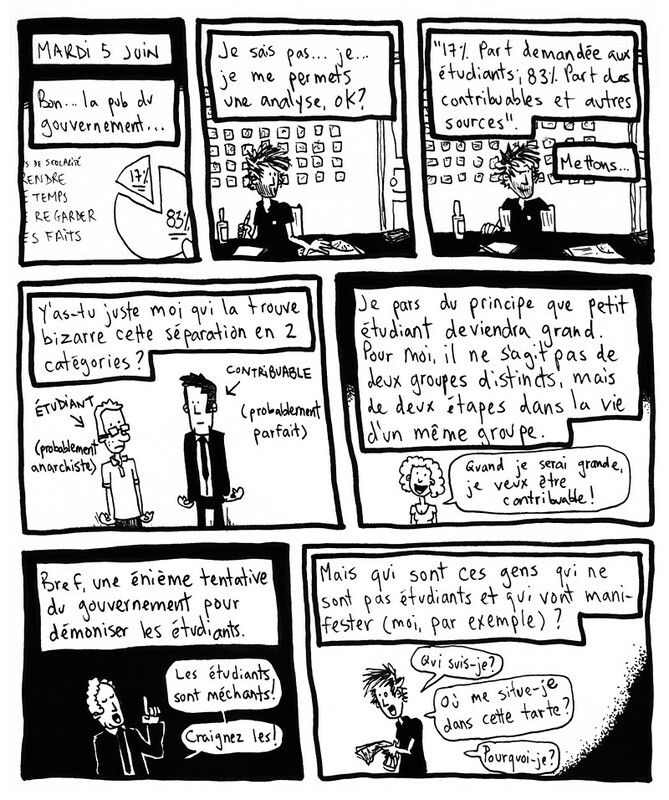 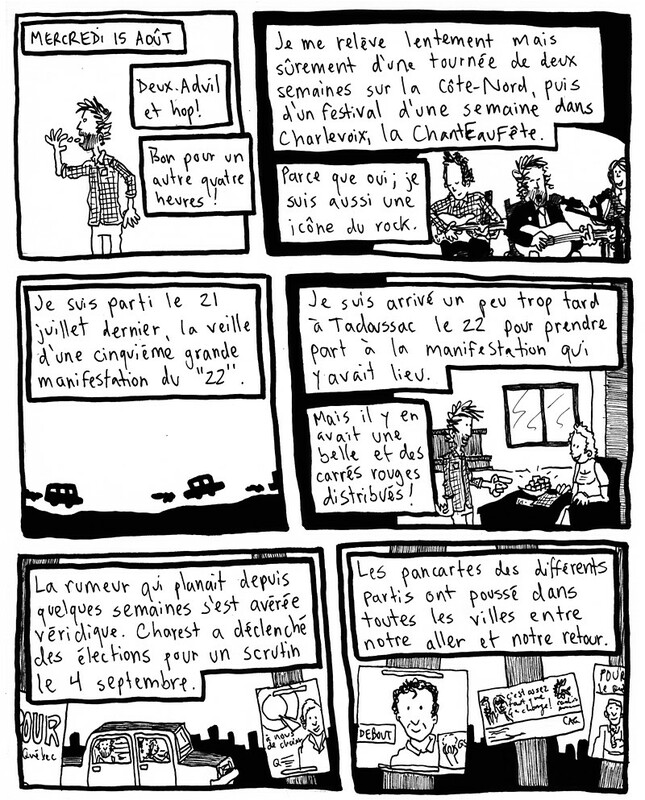 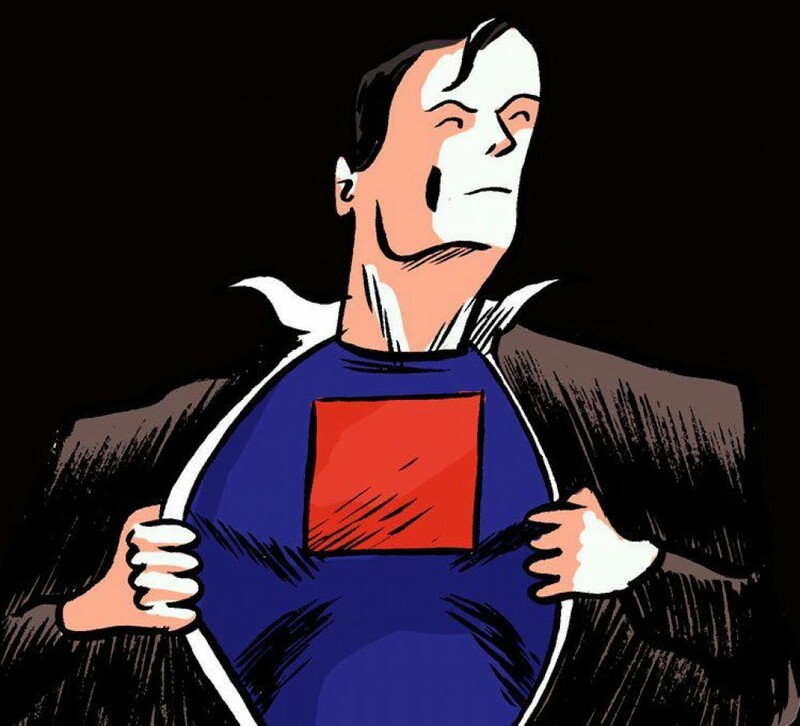 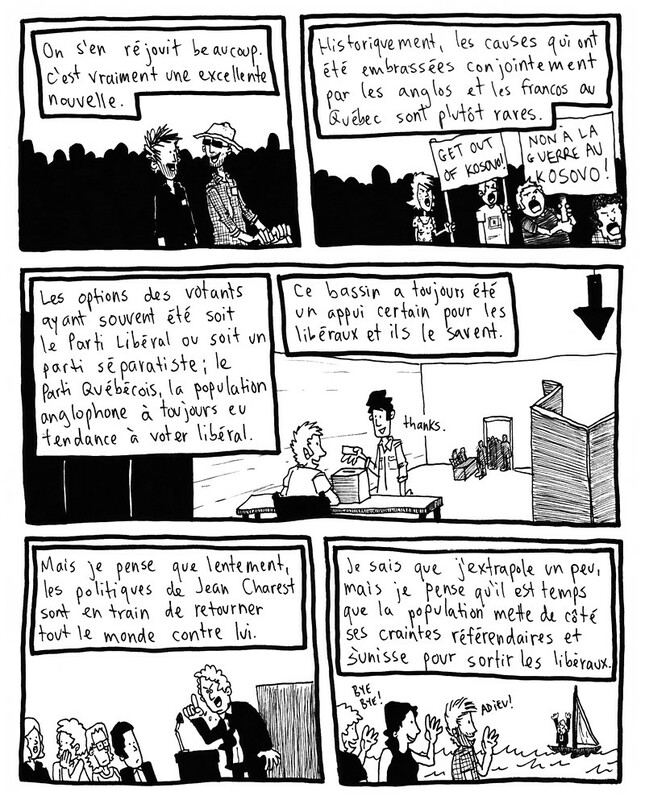 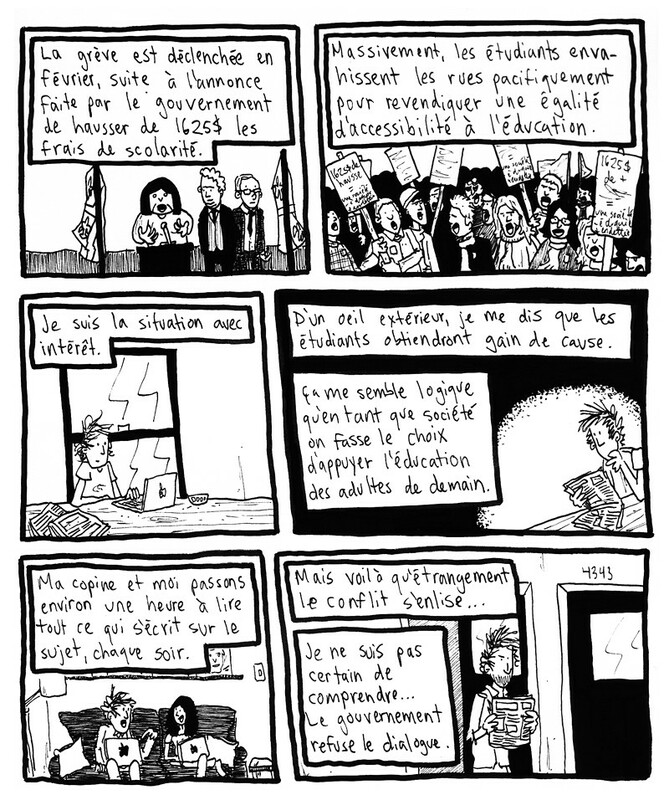 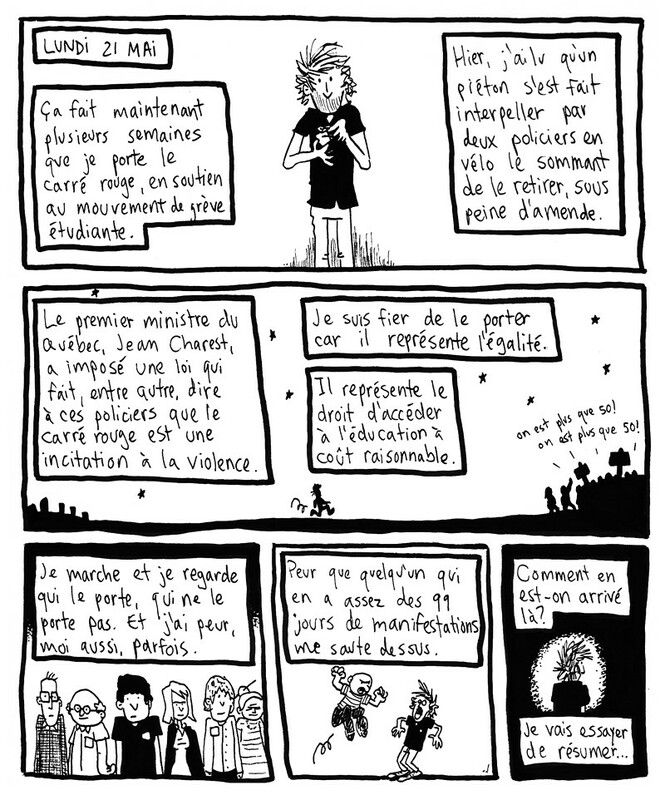 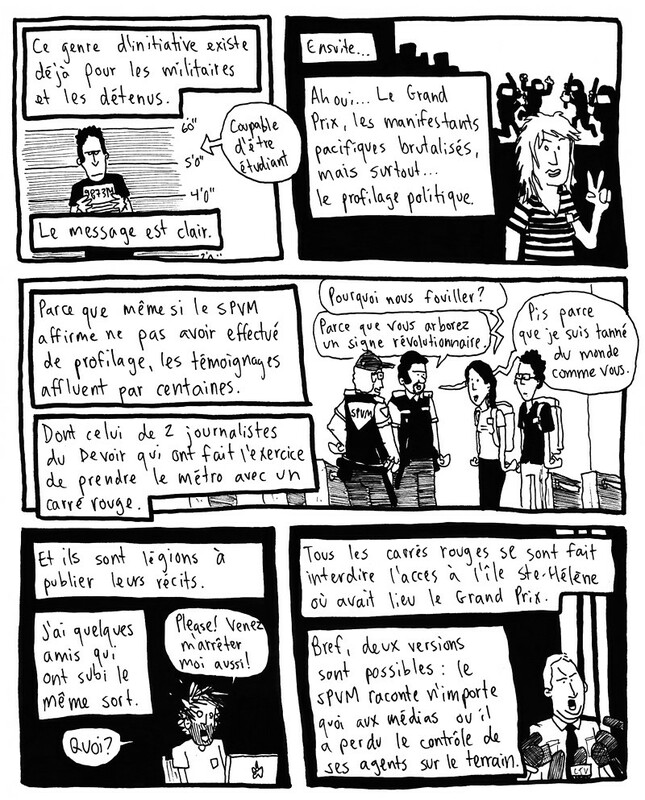 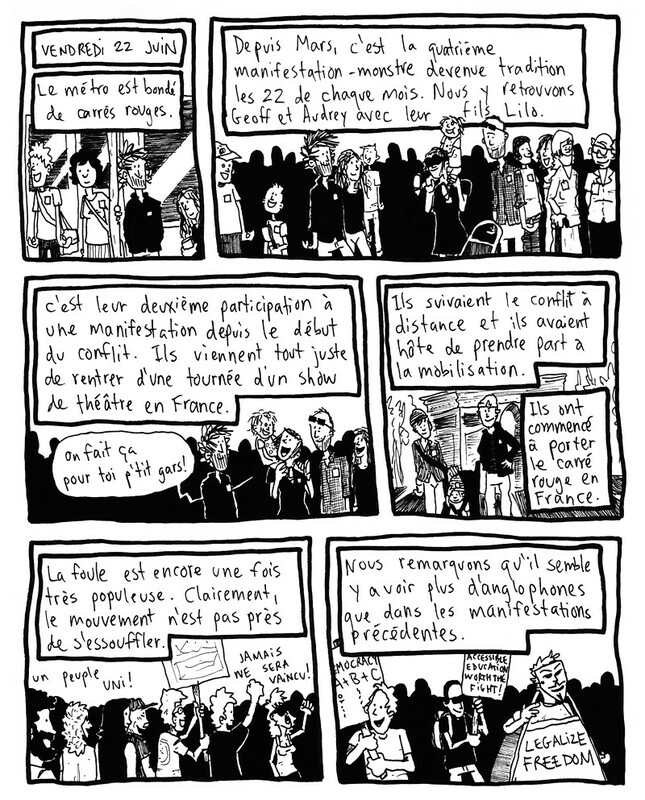 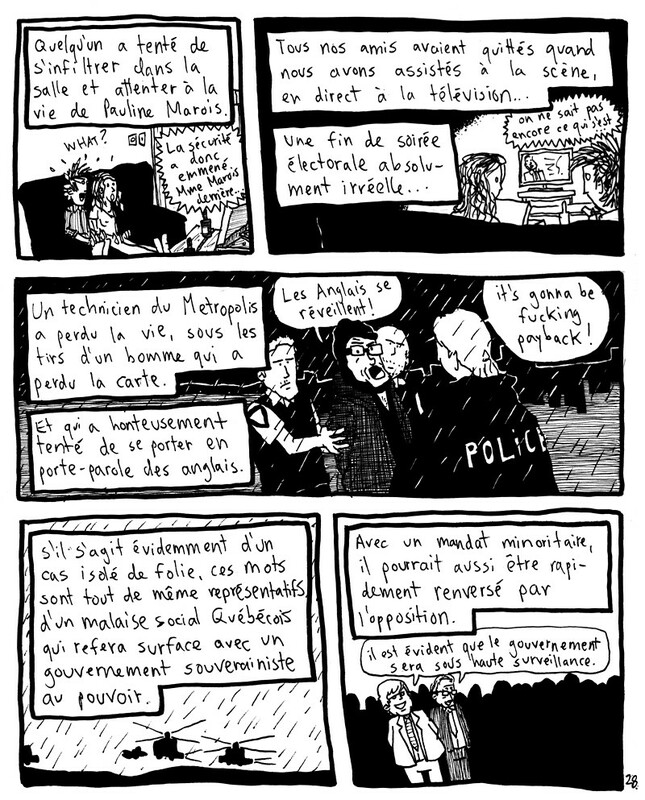 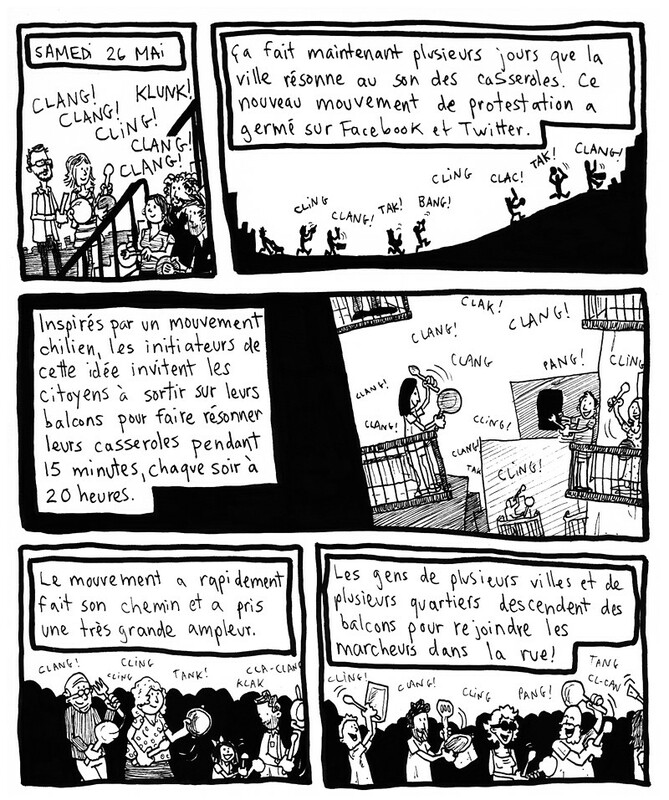 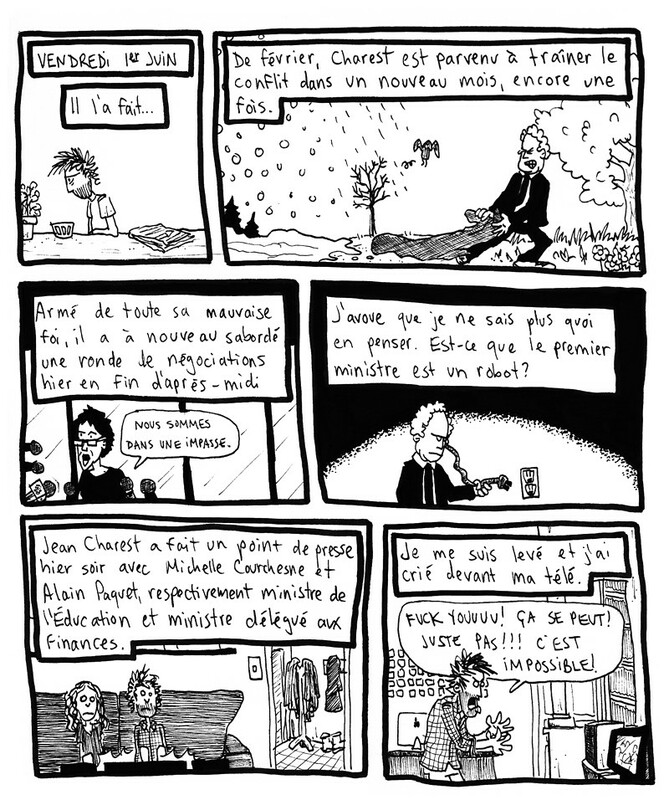 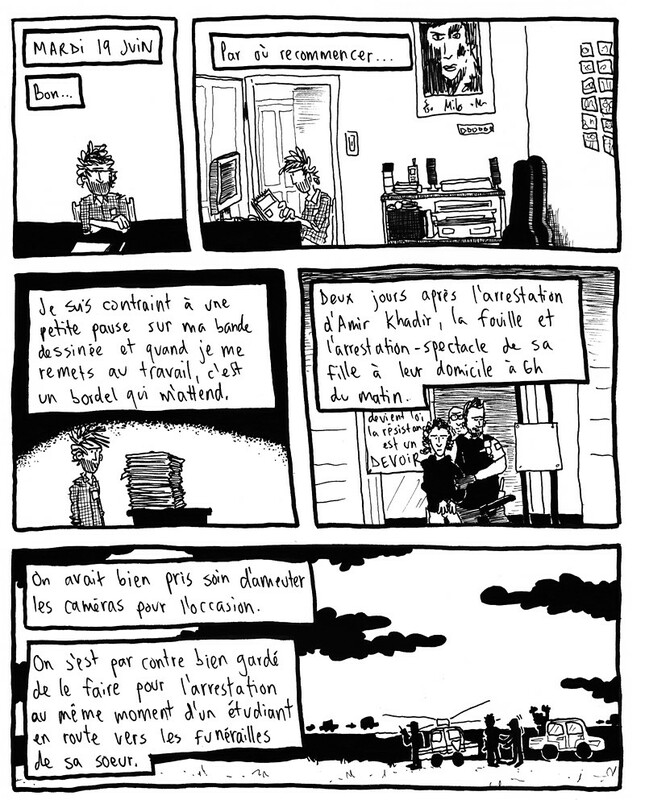 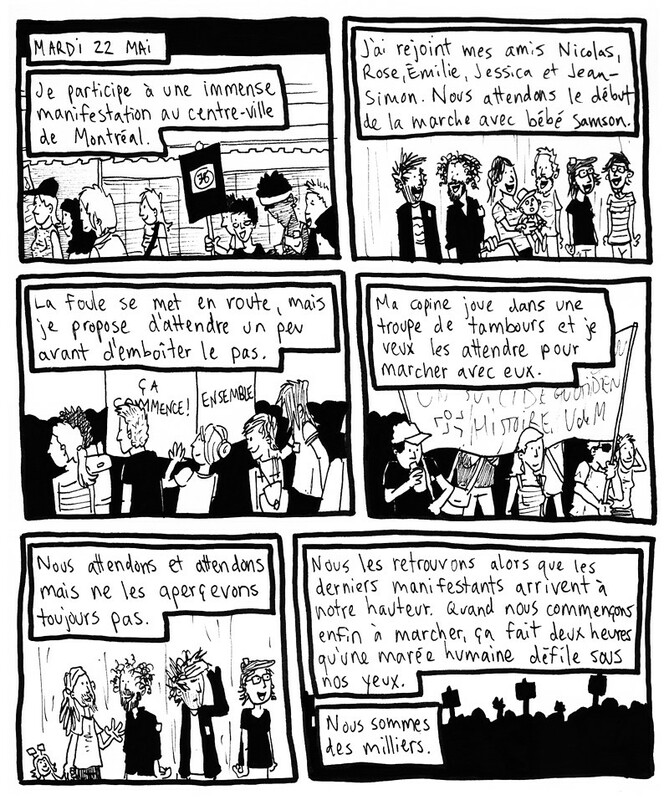 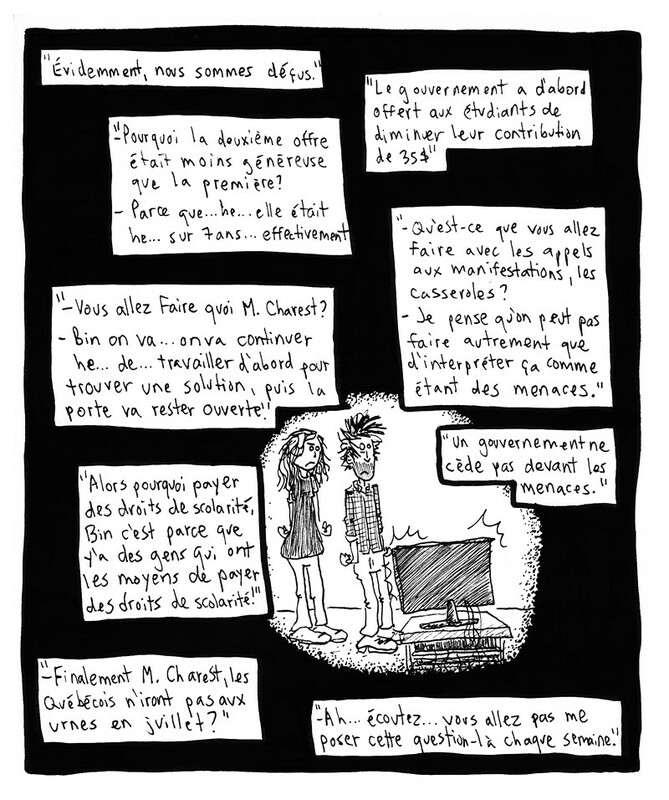 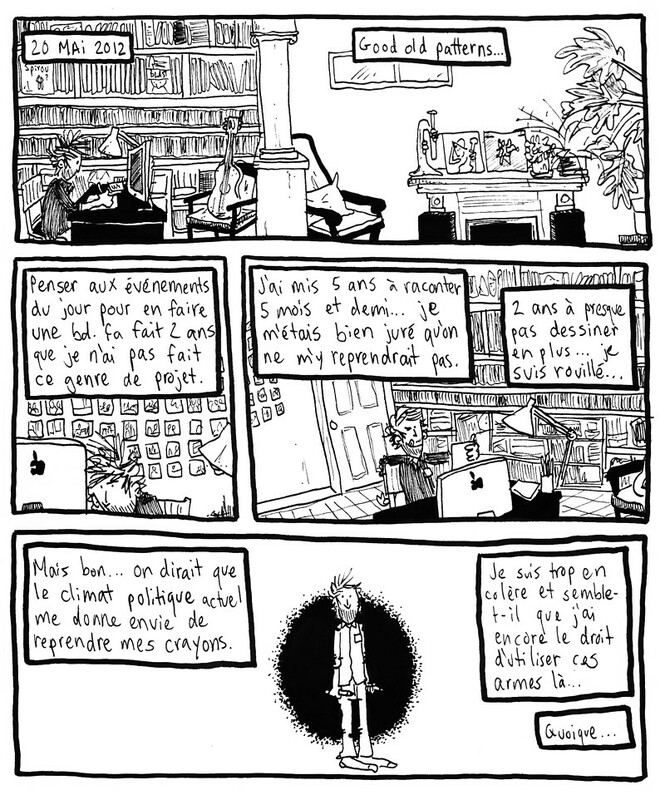 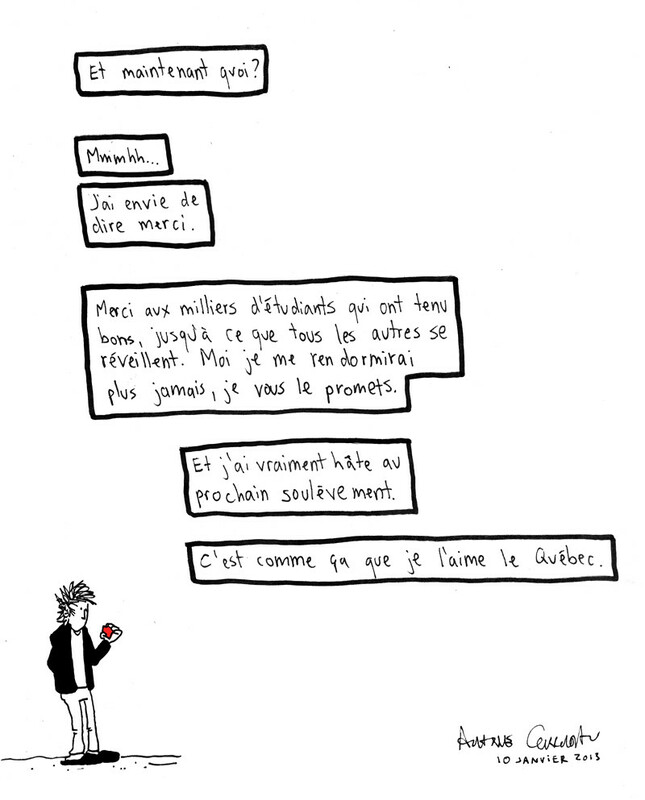 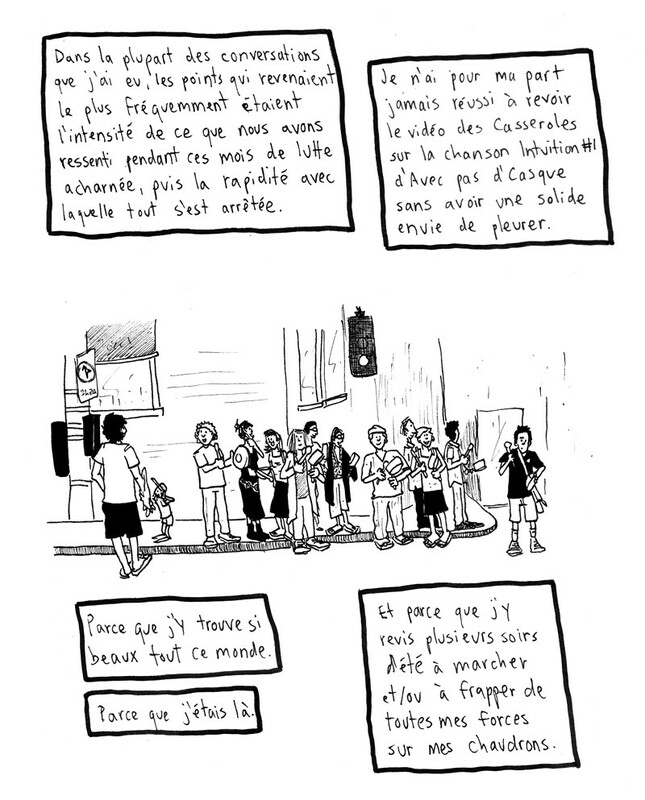 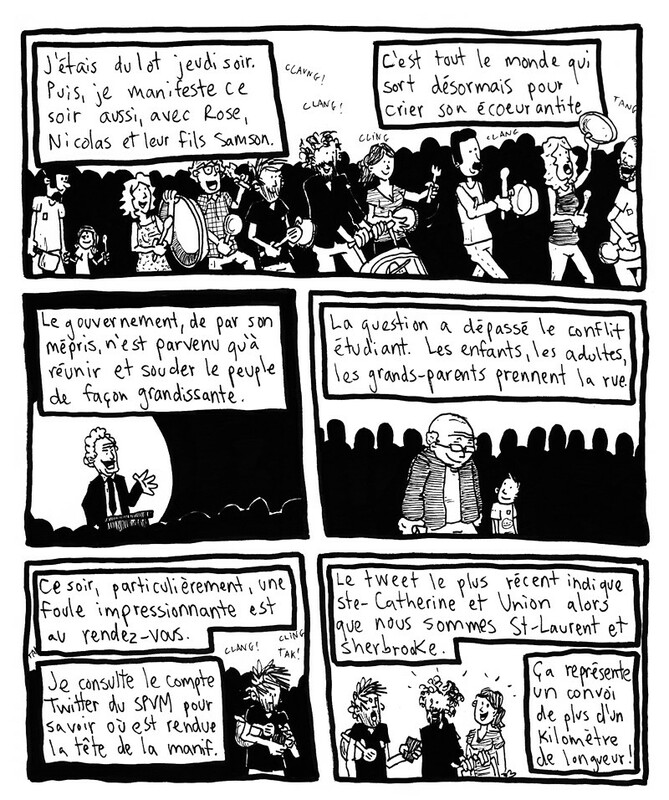 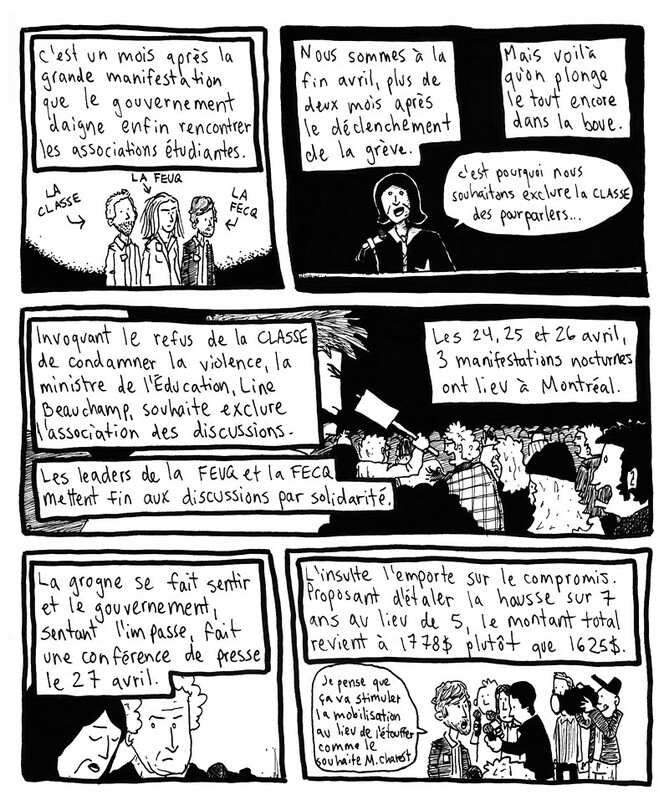 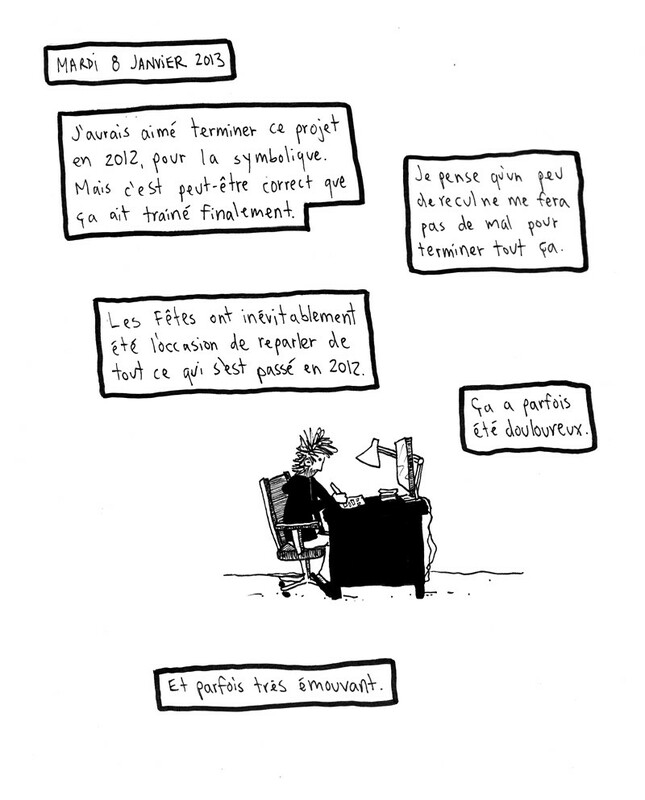 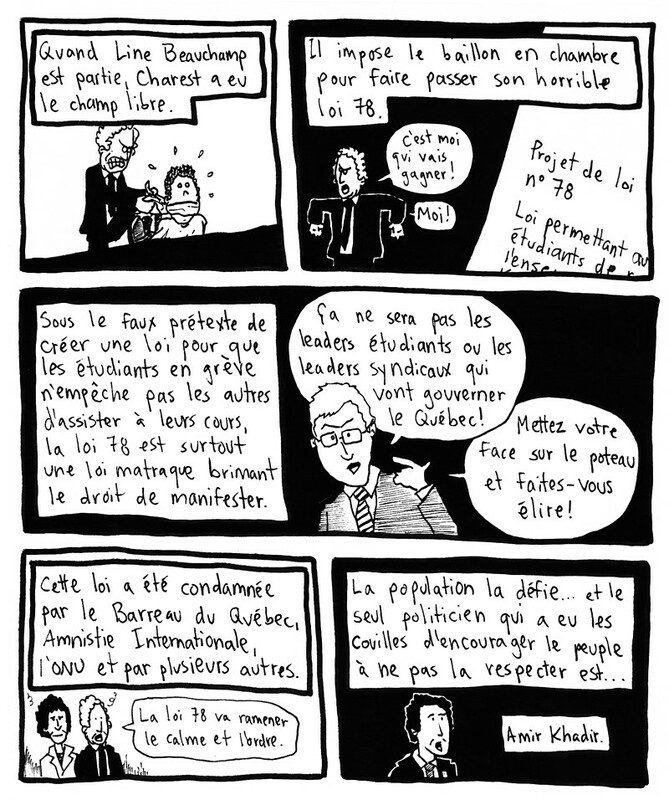 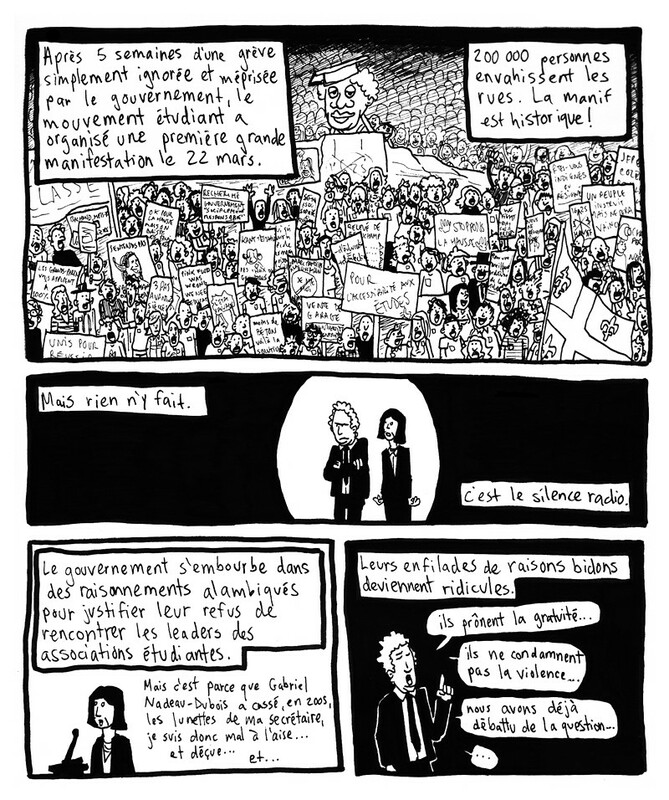 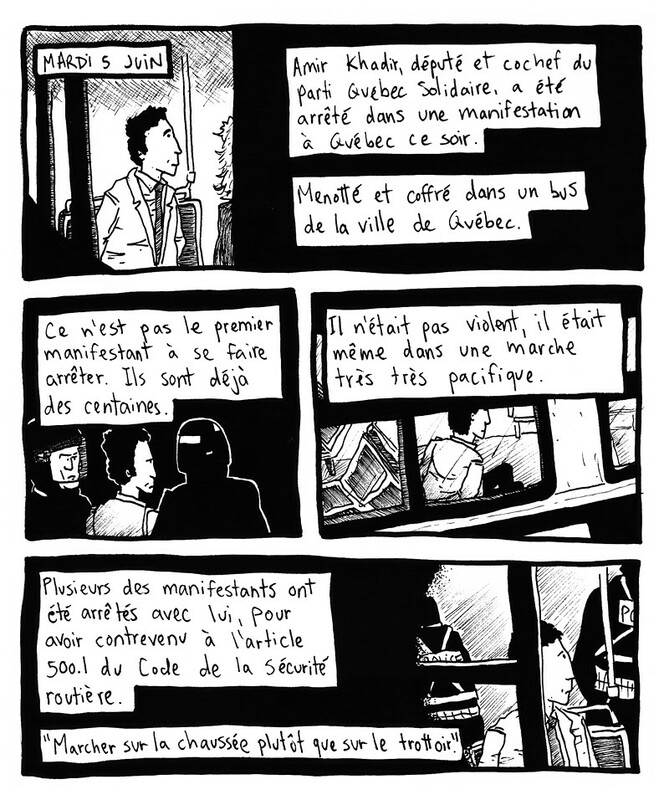 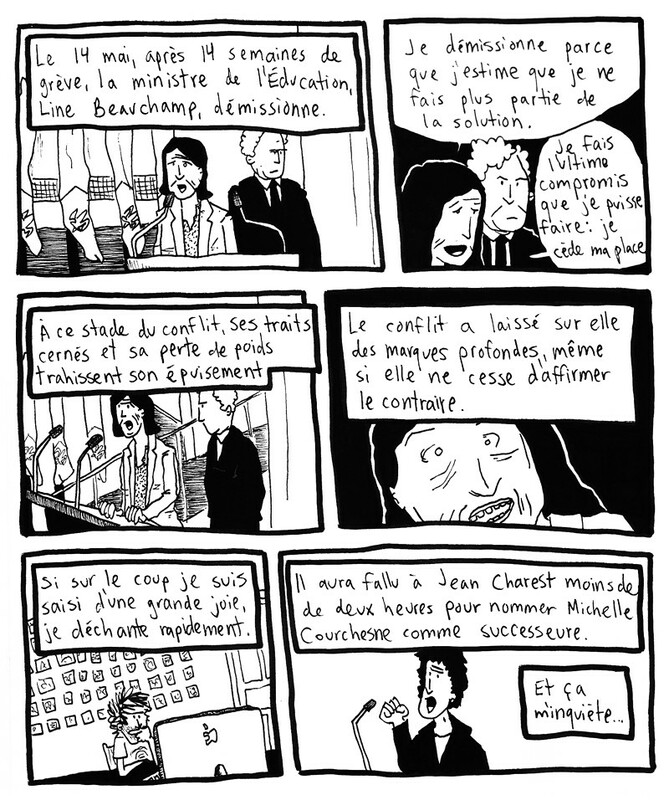 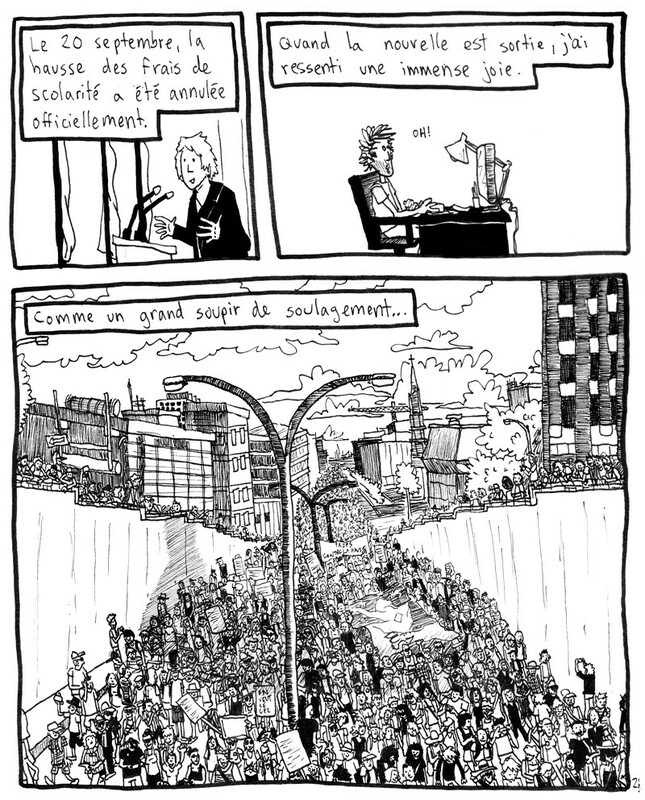 The autobiography, On est + que 50 begins on May 20, 2012 with an inspiration to take up the drawing pen and make a comic of Québec’s political climate. 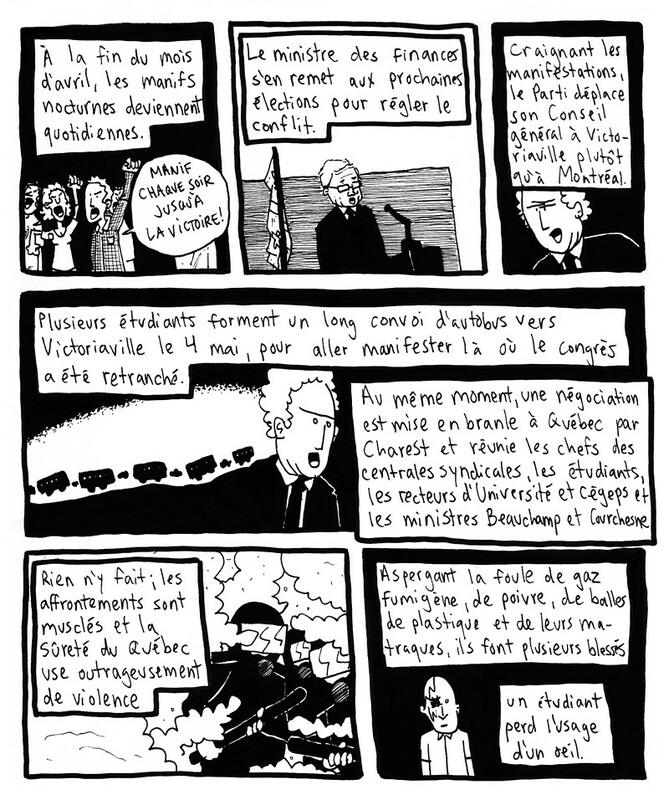 It ends on page 33 (singed January 10, 2013) with a word of thanks to student demonstrators who awoken him from political slumber, from which he claims to never want to return.